You are here: Home › ALL BLOGS › #NotTooYoungToRun: President Buhari signs bill into law. ← OPINION: Open letter to Governor Okorocha – Re: construction of 290 secondary schools. #NotTooYoungToRun: President Buhari signs bill into law. 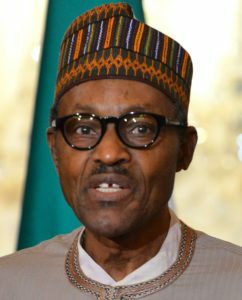 On Thursday afternoon inside the Council Chambers of the Presidential Villa, Abuja, President Muhammadu Buhari signed the Not-Too-Young-To-Run-Bill into law. President : Reduced from 40 to 30 years. House of Representatives – Reduced from 30 to 25 years. State House of Assembly – Reduced from 30 to 25 years.